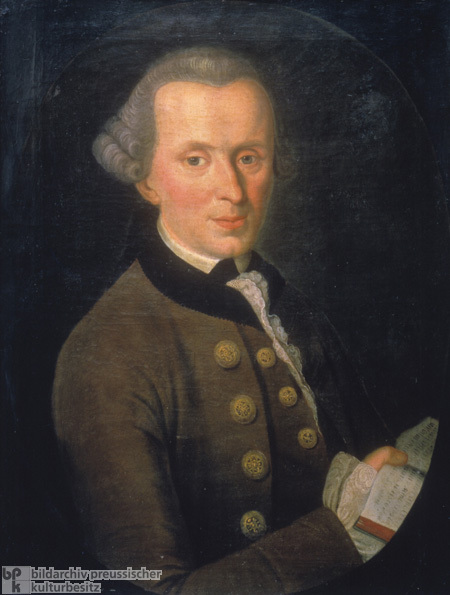 The greatest philosopher of the German Enlightenment, Immanuel Kant (1724-1804) was born in Königsberg (East Prussia) and spent his entire life there. His major works are contained in three treatises, or critiques: Critique of Pure Reason (1781), Critique of Practical Reason (1788), and Critique of Judgment (1790). Painting by Johann Gottlieb Becker (1720-82), c. 1775.